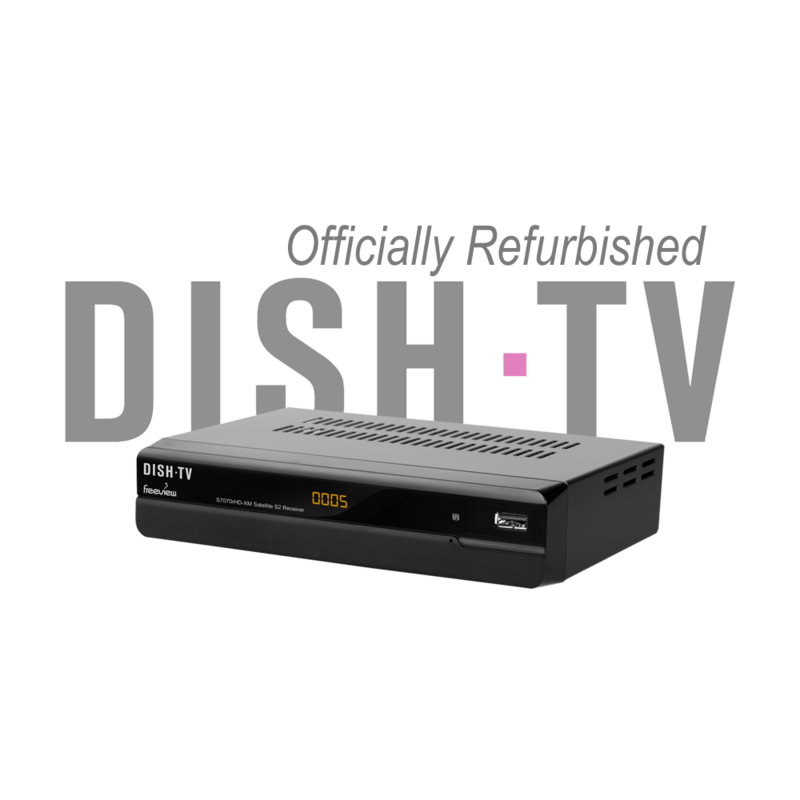 The Dish TV S7070rHD is a Single Tuner Freeview S2 Satellite Receiver, that provides crystal clear pictures via its Full HD 1080p HDMI Output. With full Auto-Tuning and LNB Search capabilities, in just a few simple steps you can bring the whole range of Freeview Channels straight to your TV. With built in USB recording support, this single tuner receiver allows you to record programs to watch later. Watch one channel while recording another in the same Channel Group or record one channel while watching a pre-recorded show on your external USB Device. ¹HD Channels are subject to HD broadcast availability. ²Recording requires an External USB Device (Not Supplied). Channel selection will be limited while you are recording. NOTE: Channel groups may change at broadcasters discretion. The S7070rHD is a Freeview Satellite Receiver. It requires a Satellite Dish and good signal levels to operate correctly. It does not use a UHF Aerial.